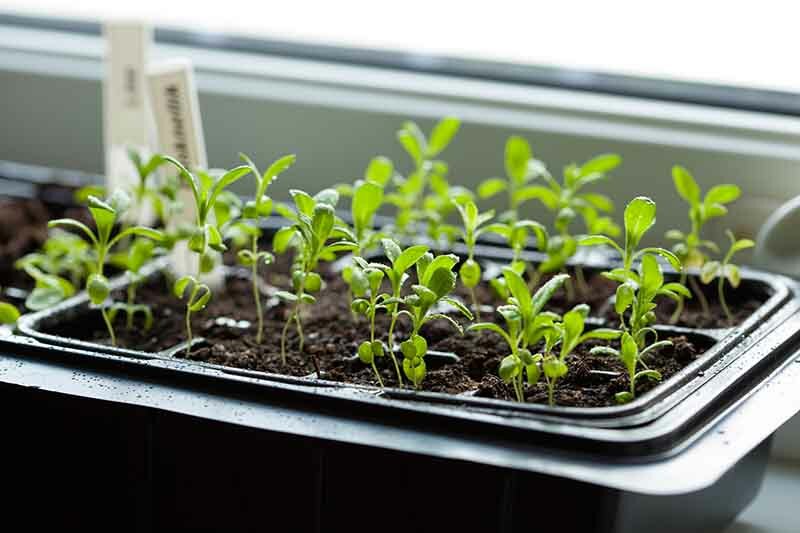 Whether you are starting your seeds early for the upcoming season or propagating your houseplants, you will need a suitable setting to sow your seeds and germinate them. It's not easy to germinate and sprout your seeds if the seeds do not have enough air, heat, light, and moisture. Many of us do not have the luxury of warm weather. The feeling of seeing your seeds sprout and grow into small buds is amazing. Nothing is more satisfying than seeing them rise up from the earth, but you have to work hard for it. 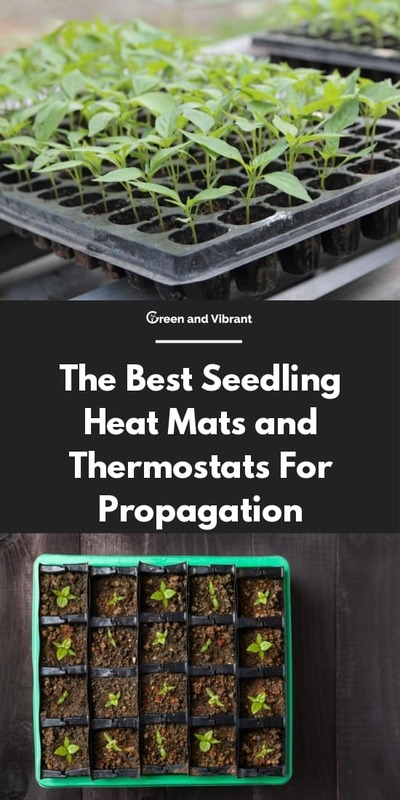 Therefore, you should consider using seedling heat mats. A seedling heat mat will help jump-start the germination process either in soil or hydroponics. What Does a Seedling Heat Mat Do? Seedling heat mats are similar heating pads you would use for your body. Heat mats are also called germinating mats. They add extra heat to maintain warm temperatures from underneath the starting tray. They keep the soil around 70°F/21°C, which is considered to be ideal for germinating seeds or propagating. When Should You Use a Seedling Heat Mat? Vegetable seeds need a certain level of warmth to germinate. Some might need more than usual warmth, such as eggplants, and some require slightly less heat, such as tomatoes. Cold nights interrupt the germinating process, so the most effective and least expensive way to solve that problem is by using heat mats. 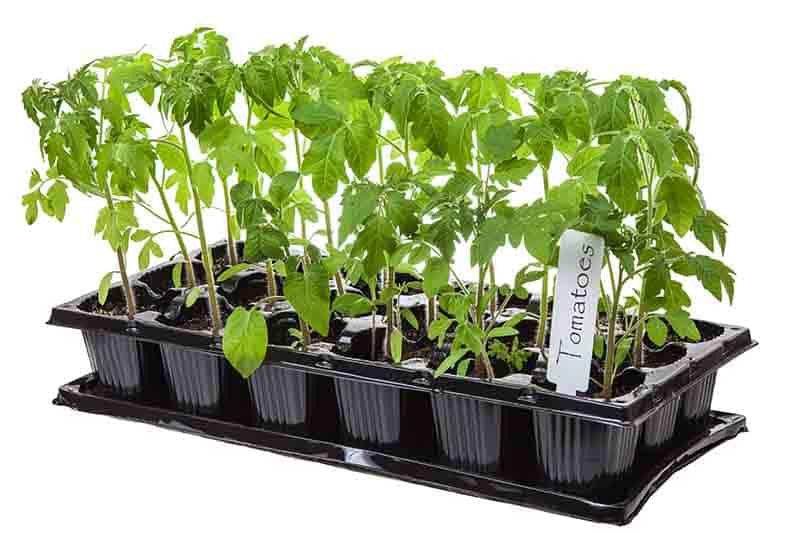 Heat mats are mainly used to help encourage seeds and seedlings’ rapid growth, so if you want to start your plants growing sooner or you are late to start a vegetable seed indoors and need to catch up or make faster cloning with hydroponics , you can use seedling heat mats. They can make a significant difference for your vegetable garden. Almost all of the heat mats look like flat heating pads. Its a mat with a heavy plastic cover. Most of them are waterproof, but be sure to check this feature when you are buying. There are small electrical coils inside the mats that generate heat with electricity. A cord and a plug come out of the mat for you to plug into a regular outlet. Mats come in a variety of sizes. Some are small, good for indoor gardens, and some are 6 to 10 feet long, which you can use for commercial purposes. You can use seedling mats for the following reasons. 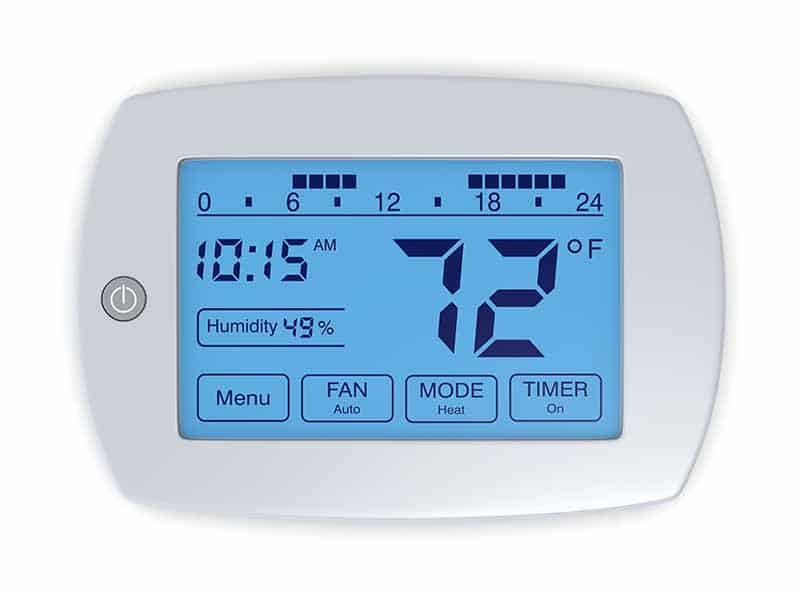 A thermostat controller might come with the heating mat, but you also might need to buy additional ones if you are looking to get accurate readings. Some say that a thermostat controller is not necessary, but most gardeners disagree. If you want to get the most effectiveness out of your seedling heating mats, you should absolutely regulate the heat with a thermostat. Place a little insulation under the heat mat so that you capture the heat and keep it longer. You can use a Styrofoam plate or collapsed cardboard boxes. Some people use the packaging that comes with the heat mats. Try to place the heat mats on a cemented floor or wire rack, not on a wooden table. Heat mats can overheat and leave burn marks on the table. Never place your seedling pots directly on the mat. Manufacturers always advise using a plastic starting stray. For the seeds that need less heat, you can stack multiple empty trays on top of each other to create some height between the seeds and the heat mats. Check whenever you can to regulate the temperature of the soil. Be careful not to overheat your soil. It will make your soil very dry, or worse, cook your plants. Some heating mats produce uneven heating patterns. The edges of heat mats do not often produce heat like the middle portion. Here are some extra tips to solve some the most common problems. All products contain some amount of risk of cooking your plants. To make sure the heat does not kill your seed/plants, check the temperature frequently. Increase or decrease the temperature as needed. You can regulate the temperature by covering or uncovering the trays using plastic bag or domes. You can also turn off the heat mat periodically. To provide even heat from the mat to the tray, try lining the bottom of the tray with nickels. Nickels conduct and transfer the heat to each other. The hot nickels will heat the areas would normally be left unheated, so you can easily even out the heat on all sides of the tray. Your heat mats might come rolled up in the package. Because the mats have a strong plastic surface, it is sometimes difficult to get them to straighten out. The solution is to warm the mats in the oven before unrolling. You can make the heat mats perfectly flat in approximately 30 minutes. Set your oven to “warm” about 170 degrees. Then unpack your mats. When your oven reaches the target temperature, turn it off. Wrap the mats in tin foil and leave them in the oven for 30 minutes. After 30 minutes, take them out and remove the foil. They should be pleasantly warm, and you should be able to unroll them into a flat shape without curled edges. What Should You Look for When Buying Heat Mats? You should have the best possible mats for your garden. High-quality heating mats are not very expensive, so look for these features when making a new purchase. Heat mats should be waterproof. Heat mats come in different sizes, so choose the best size according to your gardening requirements. If you have a small indoor garden, then you will not need any bigger size than 10'' by 10''. You can fit two starting trays on one mat. Buy multiple ones if needed. Heat mats should have power cords long enough to reach your outlet without using extension cords. Check for sufficient power wattage. Wattage indicates how much power it draws to itself and how high of a temperature it can produce. 15-watt mats will not heat as much as mats of 150 watts or more. If you only need to maintain 10-20 degrees higher than your existing temperature, you can use mats that have a wattage of 15 to 21. Big mats of 120 or more watts can heat up to 80 degrees, so choose according to your need. Now that you know what to look for in heating mats, let's turn to thermostats. Because you need an optimal setting for your seeds, you need to maintain the temperature of your soil. You should attach a thermostat to the heat mats or in some of the soil. You might want two thermostats: one to measure the temperature of the room and one to measure the temperature of the soil so that you can compare readings. Choose a thermostat sensor or probe that you can insert into the soil. You need to know what your soil temperature is so that you can increase or decrease the heat of the heating mat. Choose a thermostat that scales in both Celsius and Fahrenheit degrees, so you do not have to calculate. Some thermostats can help control multiple heat mats at once. These are much more durable, so it would not hurt to have one. There are many heat mats to choose from, so we have narrowed it down to the best products we found. We chose 5 heat maps suitable for an indoor garden that you can consider buying. Jump Start heat mat is waterproof and durable. It has a UL Certification, which is a global safety consulting and certification company. According to Jump Start, it is that only heated mat that is UL-listed. It is bigger than the Apollo horticulture mat, measuring 8.87" x 19.5". Users found the big size much more efficient to germinate microgreens as well as other herbs. It will warm the root area 10-20˚F over room temperature, just as the Apollo model above does, which is ideal for most cases. It has a 6-foot long power cord, which is usually long enough to reach an outlet. Another useful feature that we appreciate about this model is that the body of the mat has all of the instructions printed on it, including directions for use and safety warnings. The Apollo horticulture combo set includes one heating mat and a digital thermostat. It's 9"x 20," and according to Apollo horticulture, it warms the root area to 10 to 20°F above room temperature, which is perfect for improving root growth. You can use it not only for germinating but also in rooting clones. It creates a great environment for the seeds. It does not shut off automatically, so you have to regulate its temperature it or can bake the roots with overheating. It's not a must to install the thermostat to the mat. But if you are want to be aware of the temperature of the heat mat, this is an excellent choice. VIVOSUN's professional heat mat, just like Jump Start and Apollo Horticulture models, maintains temperatures of 10-20℉ above ambient air temperature, which is perfect for seed starting and propagation. It is much more flexible, however, and is also waterproof and durable. It comes with a 1-year warranty. It also has an extra layer of insulation. It measures 10" x 20.75," which is perfect for standard 1020-sized trays. It comes with a reusable storage bag, and unlike most heat mats, it flattens out when it heats up from its own power source. You can also store it rolled up. The iPower mat has multilayer insulation and maintains an even temperature. The seedling heat mat is made of new, stronger heating wire and features a thicker multi-layer construction. It also comes with a 1-year manufacturer's warranty. Besides using for seeds, some people use it on a daily basis to keep their drinks warm or provide heat to house pets. It measures 10" x 20.5," the same size as the Vivosun and Jump Start models. It has an auto shut down feature when it reaches the target temperature, so it minimizes your work in not needing to check it as frequently. Not very durable compared to other mats. The Root Radiance heating pad does not come with a thermostat. It measures 20.75'' by 10,'' which is a little longer than the other models. It maintains an even temperature of 10 to 20 degrees over ambient room temperature, just as the others do, which is ideal for the germination process. It is water-resistant and has a 6' power cord. These 5 are some of the most popular heat mat options that are suitable for indoor gardens and nurseries. Judging by the reviews and features, all of these mats maintain a steady temperature noticeably higher than room temperature, which is perfect for creating a warm environment for your plants. Some of the features that stood out for us is Jump Start’s size, which is ideal for small indoor gardens or outdoor greenhouses. The auto shut-off feature of the iPower is very useful because you won’t need to check it as often. The Vivosun mat has extra insulation, and it comes with a storage bag. Ultimately, we would choose the Jump Start mat for its larger size. It has all the directions printed on the body. It has a 6-foot power cord and is good for both indoor and outdoor nurseries or gardens. Plus, it is UL-certified for safety. All of these products are rated well, so choose which model would work best for you. Even if you are a beginner gardener, you can work with these heating mats to get your seeds off to a good start.